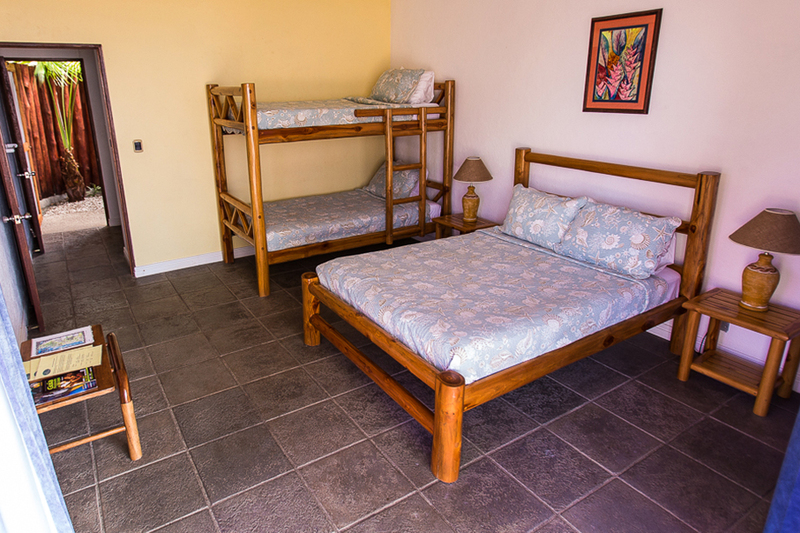 To accommodate an additional travelers, deluxe Twin Beds can be prepared in our standard cabinas to offer a Queen +1 Cabina featuring stunning 180’ ocean views and screened doors if you prefer to feel the natural breeze and to hear the sound of the ocean below and local wildlife. 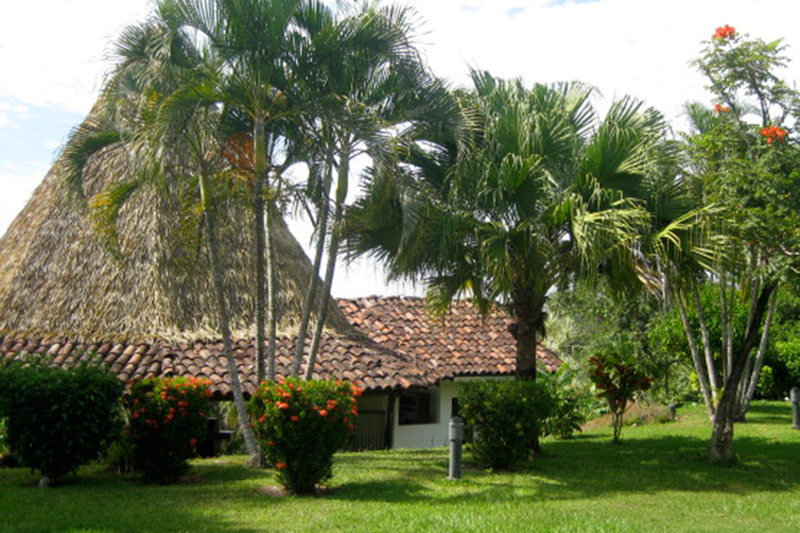 Enjoy a tropical open-air shower right outside your private bathroom. 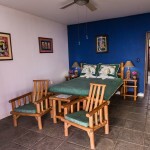 Fine bedding & linens, orthopedic mattresses and hypo-allergenic feather beds provide restful nights while at Cristal Azul. 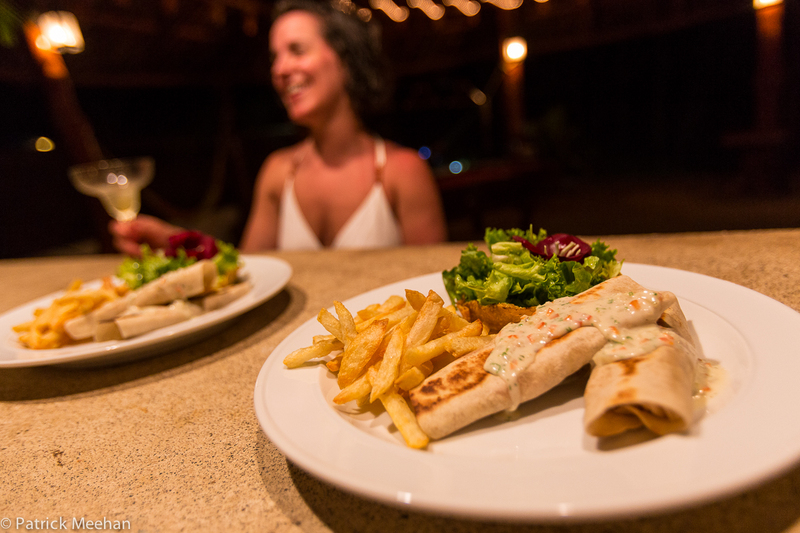 Your nightly rate includes a full typical breakfast of Costa Rican coffee or tea, fresh juice and a fruit salad and a delicious dish from our breakfast menu served in the Rancho. 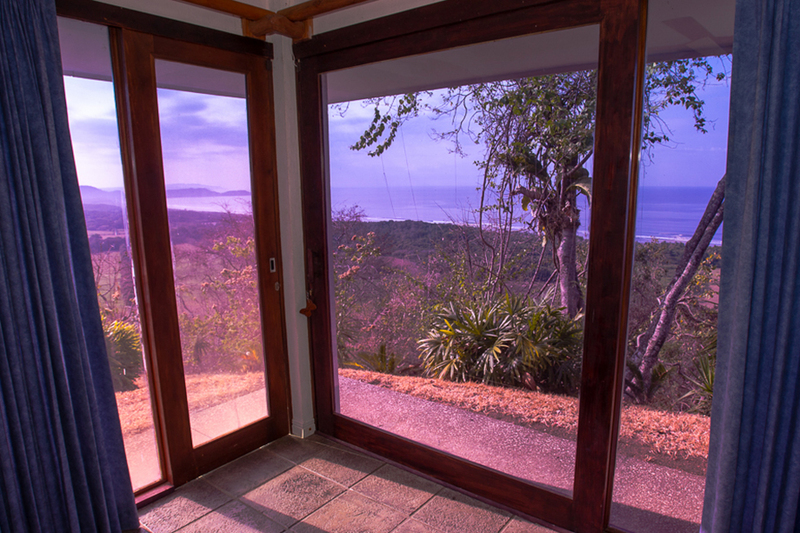 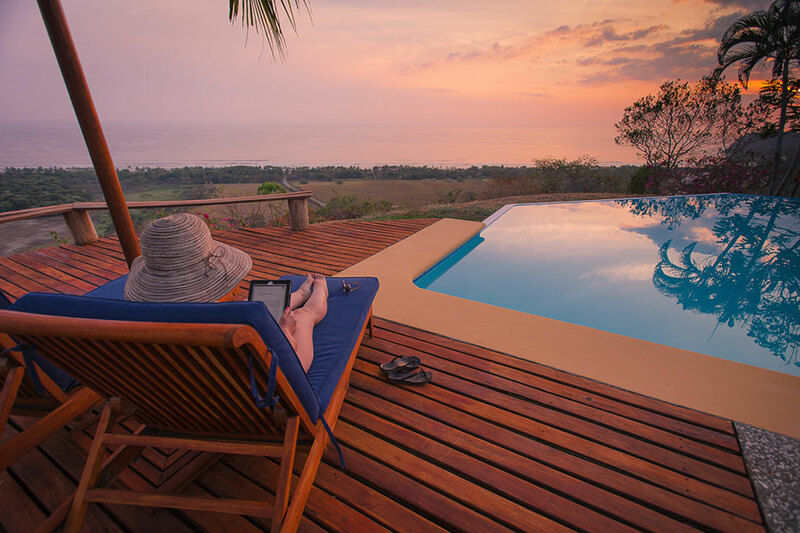 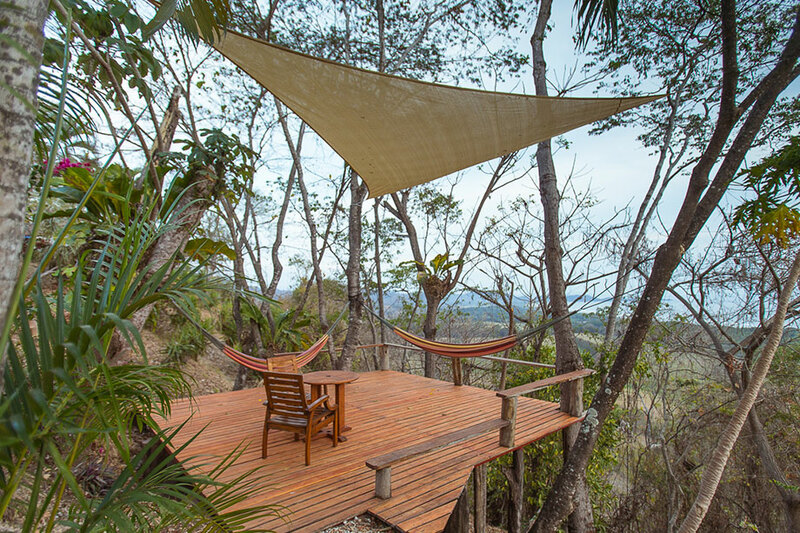 Each of our three Queen Cabinas feature stunning 180’ ocean views and screened doors if you prefer to feel the natural breeze and to hear the sound of the ocean below and local wildlife. 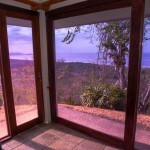 Enjoy a tropical open-air shower right outside your private bathroom. 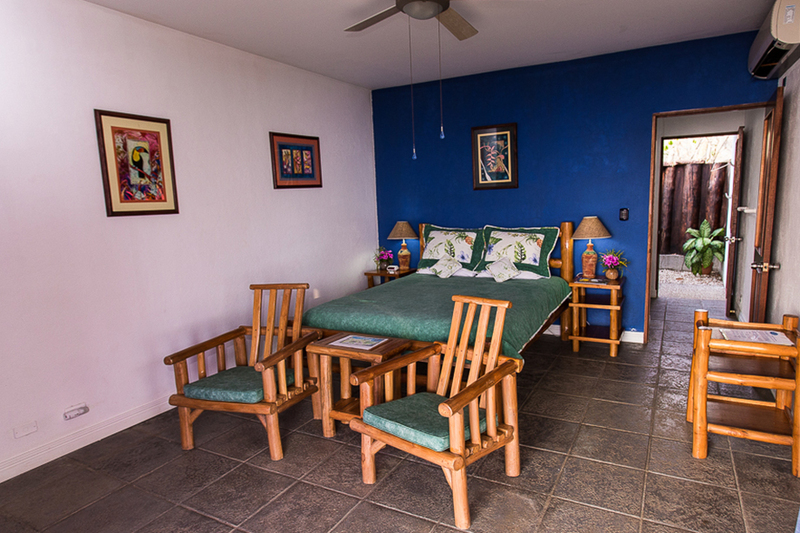 Fine bedding & linens, orthopedic mattresses and hypo-allergenic feather beds provide restful nights while at Cristal Azul. 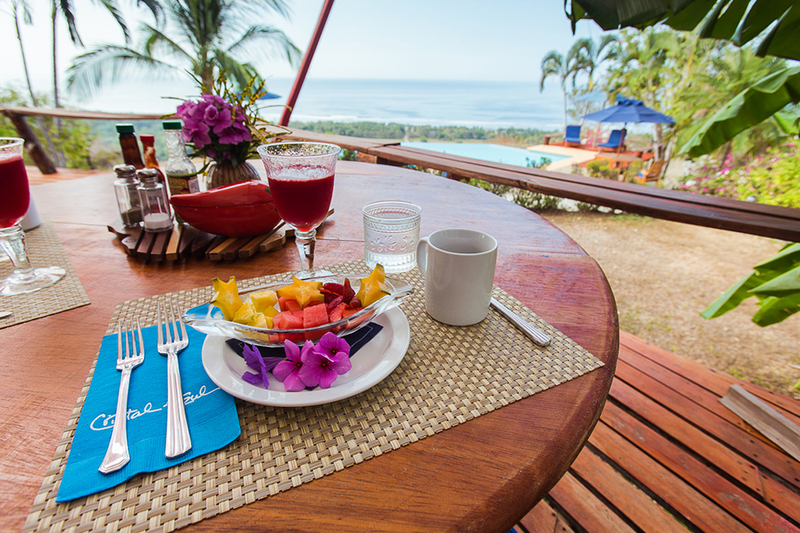 Your nightly rate includes a full typical breakfast of Costa Rican coffee or tea, fresh juice and a fruit salad and a delicious dish from our breakfast menu served in the Rancho. 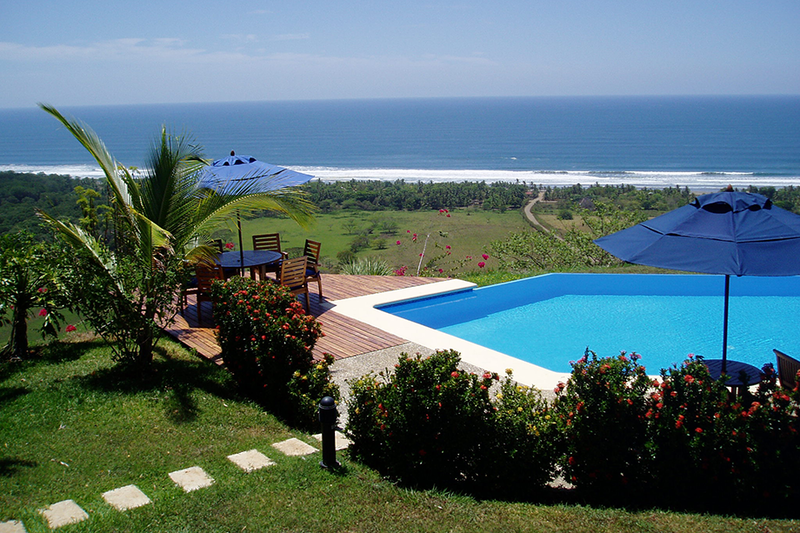 • PEAK SEASON – Christmas, New Years & Easter – please inquire – 4 night minimum. 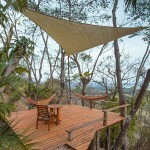 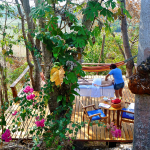 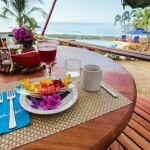 • Full breakfast & daily housekeeping included. 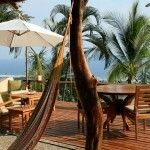 • 13% Sales Tax not included. 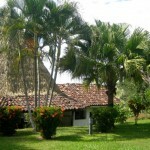 • Cristal Azul welcomes guests 10 years of age and older. 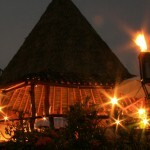 • Private Chef services daily – full & half board packages available. 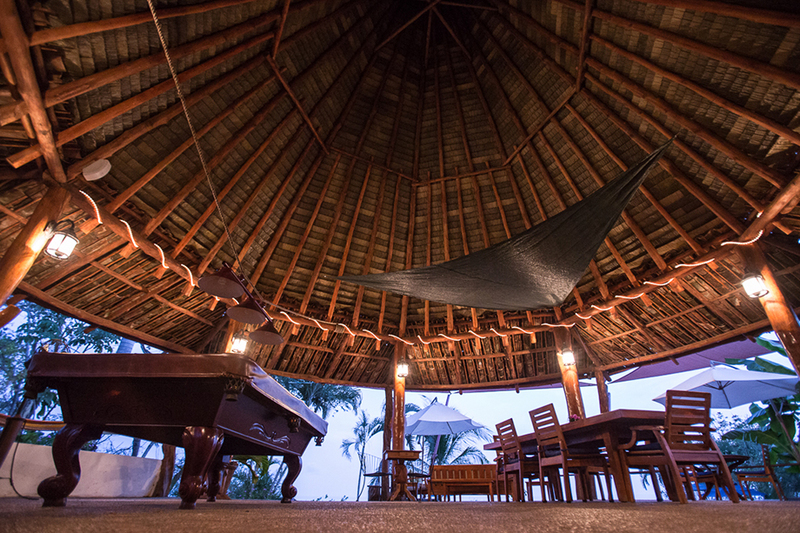 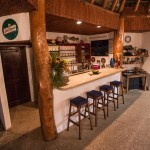 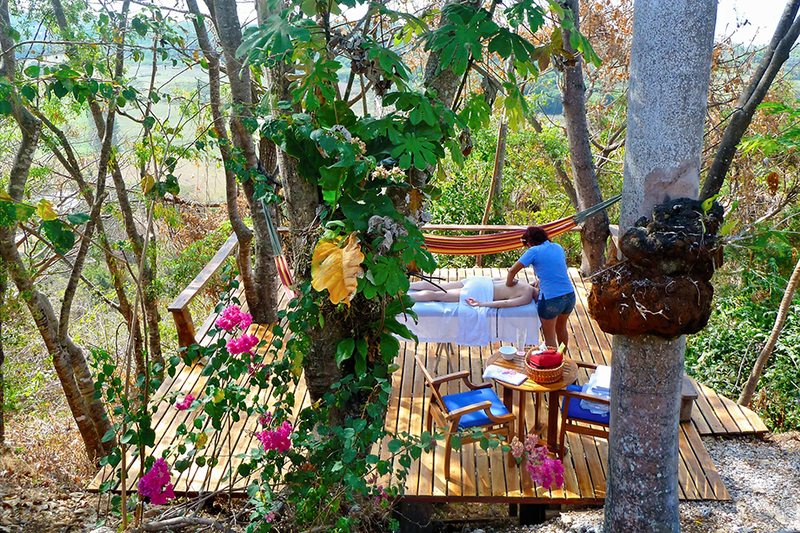 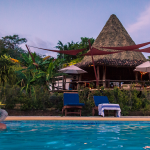 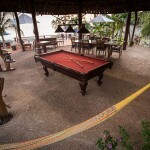 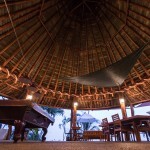 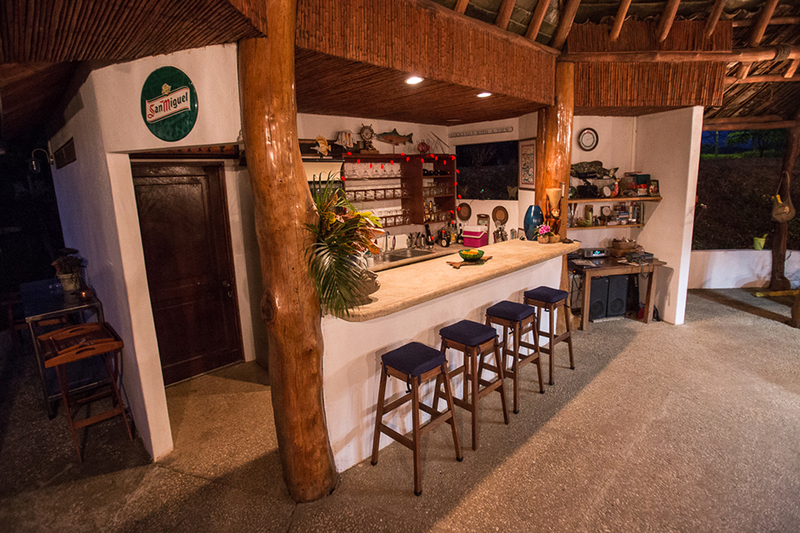 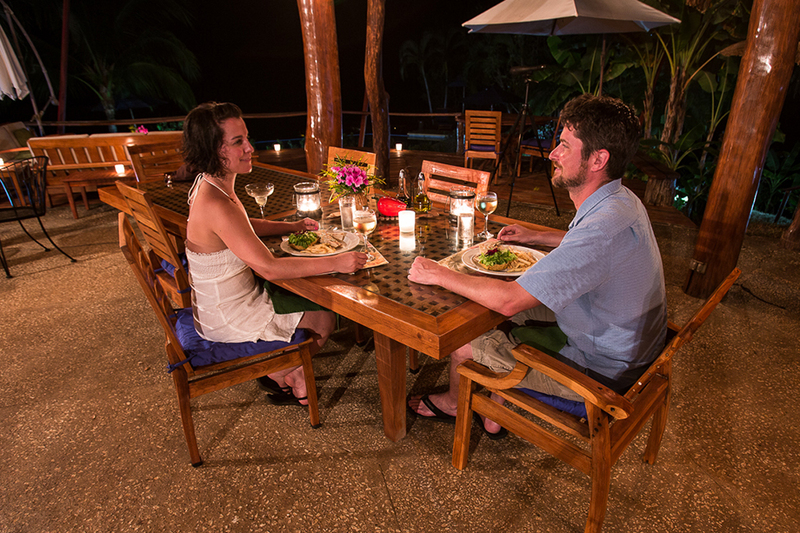 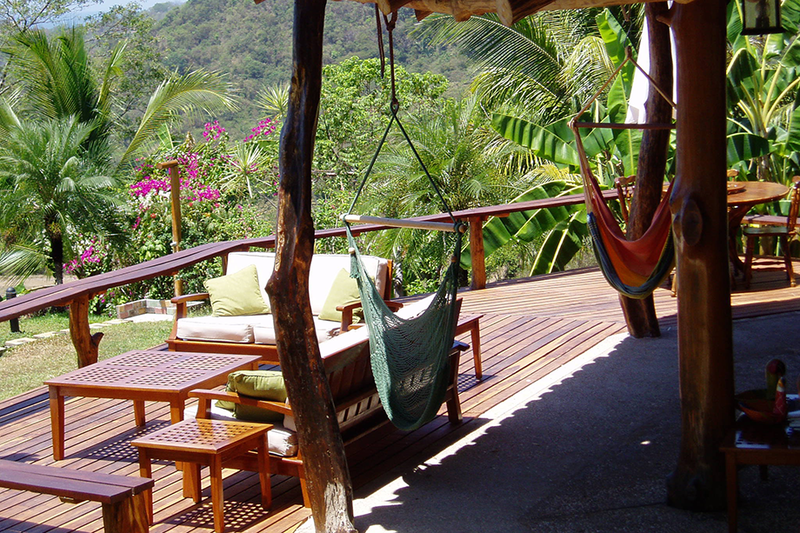 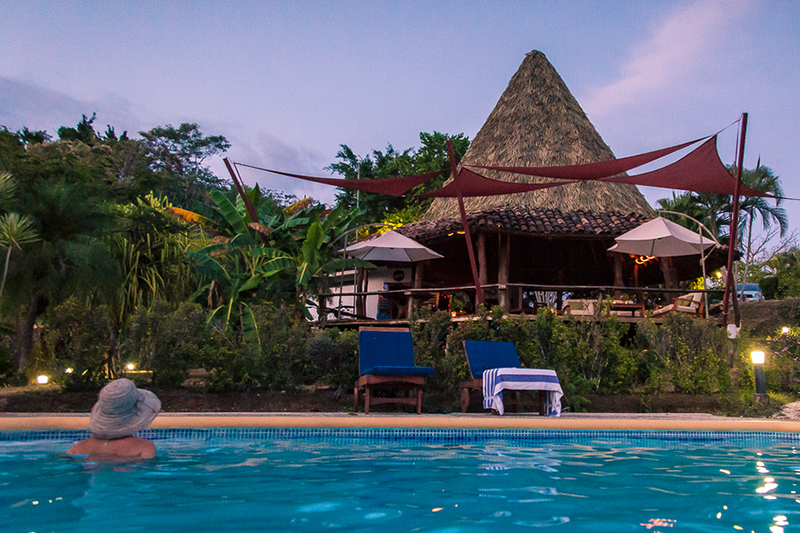 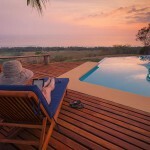 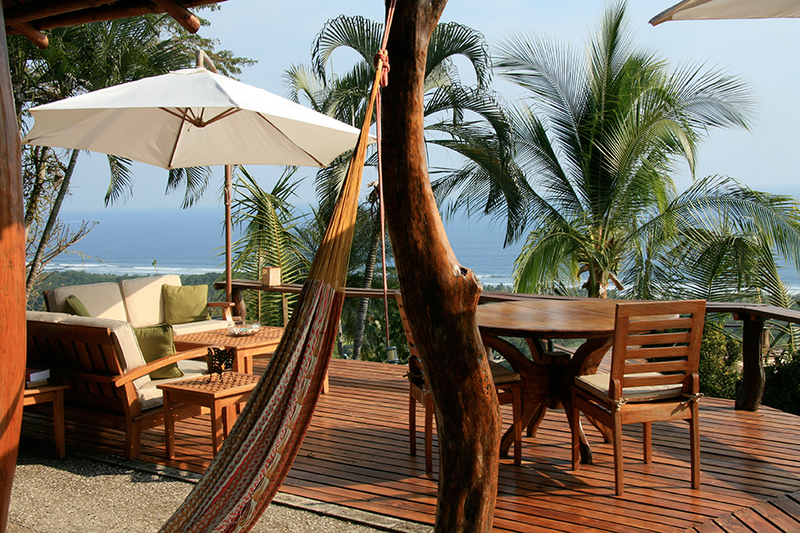 • Cristal Azul can accommodate 10 – 14 guests comfortably. 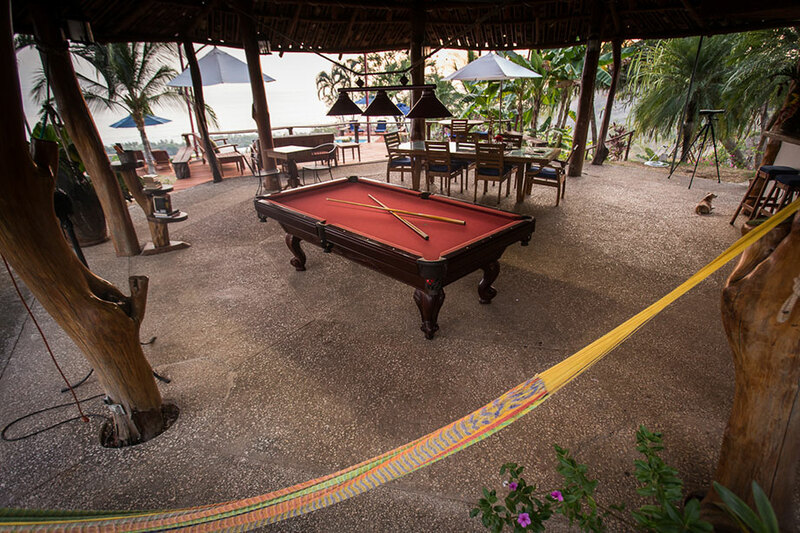 • Weekly & Group discounts available. 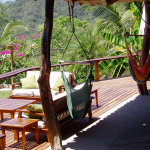 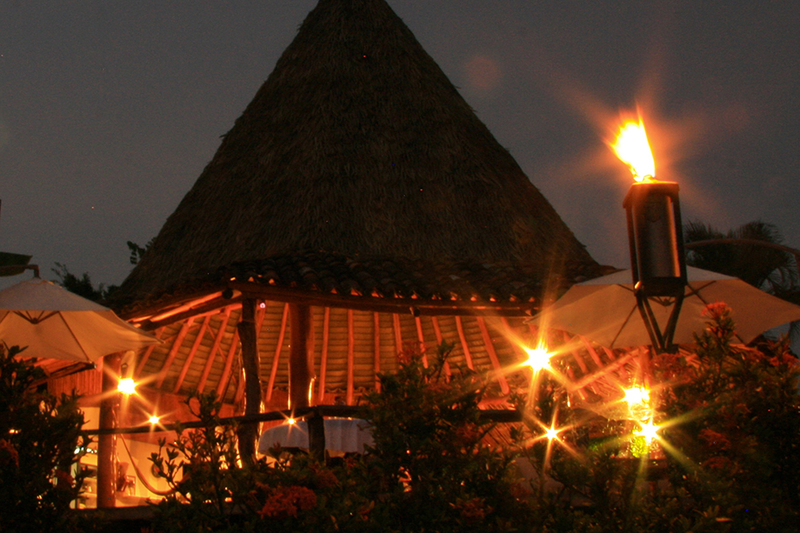 • All reservations and cancellations are handled at the sole discretion of the owners. 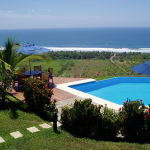 • English, Spanish, Portuguese spoken.